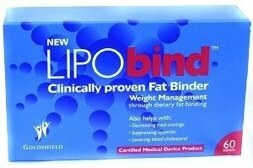 Several readers have asked us to look at Lipobind, which is a natural fat binder available in the United Kingdom. It claims to block as much as 27% of dietary fat, and it is aimed at people who usually overeat on a weekend, enjoy fatty food, or who just depend too much on high fat convenience food. This product has been on sale for several years, but it recently underwent a face-lift. This was to tweak the formula to include some important Vitamins. Will this dietary aid work for you, and lower the calories from high fat meals? Lets take a closer inspection and find out. Claims: To be able to block 27% of fat from food consumed. The official Lipobind website can be viewed in French, German and English. The makers of this dietary supplement claim that it will help you to slim down, control your cravings for food, and lower your levels of cholesterol. A container of 60 Lipobind pills retails for £29.95. The product’s official website is displayed in English, although it only offers the price in GBP, rather than USD. This makes it unclear as to whether the supplement is sold outside of the United Kingdom. 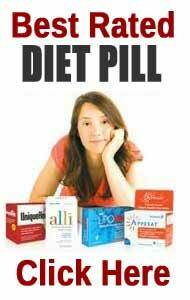 Along with your container of Lipobind pills, you will receive 4 weight management advice leaflets, and also a pen, a daily diet, and a workout diary. Lipobind was formally produced by Goldshield Ltd and was part of the product range that included Appesat and Decarb. Now owned by Belgium pharmaceutical company, Omega Pharma. The makers say that their product is endorsed by the Vegetarian Society, and by an array of experts, like the scientist and renown herbal medicine author, Doctor J. Gruenworld. 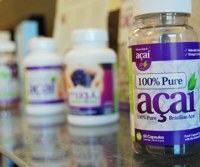 No free trial samples of the supplement seem to be offered for first time users though, and the refund policy for the product is unclear. 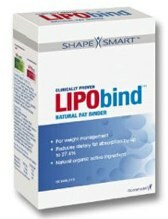 The makers of Lipobind claim that the product will lower the quantity of fat retained in the body from the food you eat. They say that Lipobind’s primary active ingredient is the extract of dried cactus. Apparently, once the supplement is consumed after a meal, it attaches to whatever food you have eaten to produce a complex of fat fibre, which is expelled from the body easily and naturally. In addition, it is claimed that the complex of fat fibre in Lipobind expands to decrease the speed with which the food leaves your belly. This ensures that you remain full for longer periods, and therefore consume less calories. However, this product does not appear to have undergone any standardised, controlled tests. The official website for Lipobind says that the product contains a complex of fibre, comprised of natural plant sources, which are made of completely organic dehydrated cactus leaves. Regrettably, the full profile of ingredients in the product are not disclosed on the container, or by the retailers that stock it. This means that there is no way of knowing what quantity of Litramine is included in each serving of the supplement. There is an article in the Guardian newspaper from 2008, describing how the Advertising Regulator banned a Lipobind advert, after the marketing claims were discovered to be based on animal tests, rather than on robust trials involving human beings. On a more positive not there have been several celebrities associated with the product. 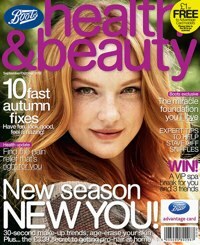 Former Eastender Lucy Benjamin spearheaded perhaps the most successful campaign with the cooperation of Boots while Katy Hill and Melinda Messenger also had endorsements. There are no recorded harmful side-effects with any of the Lipobind ingredients. You should not consume the pills within 2 hours of taking any medication that is fat soluble, and this applies to oral contraceptives as well. Also, you should make sure that you are properly hydrated, and you will be expected to drink a minimum of 2 litres of water each day. Users are not advised to consume Lipobind if they are breastfeeding, pregnant, or if they have a BMI (Body Mass Index) of under 18.5. There is varied feedback from Lipobind customers on Amazon.com. Many customers do say negative things about the product (referring to it as “rubbish” and a “waste of time”). The majority of positive feedback relates to the quick delivery from the seller, as opposed to the effectiveness of the supplement. While the official Lipobind website claims that the product is endorsed by several top experts in the weight loss industry, there are many other slimming products on the market which feature the extract of cactus as their primary active ingredient. A larger amount of clinical data, a straight forward refund guarantee, or a free trial sample would all have helped to show that the manufacturer had confidence in their own product. This would have helped us to have greater confidence in it as well. 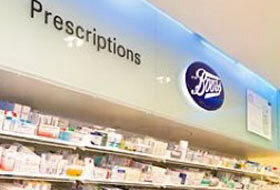 There are numerous high street stockists is the UK including Boots, Superdrug, Holland and Barrett and Tesco. There are also many authorised online distributors. Lipobind has always played second fiddle to Proactol – now there is another fat binder in town. XLS Fat Binder has a very big marketing budget and is gaining market share. There are similarities between Proactol and XLS – we recently put them side by side and compared them to find out which one was the best.